*"The Flavor of Fear: Part 2"
*This issue is continued from TMNT New Animated Adventures #19. 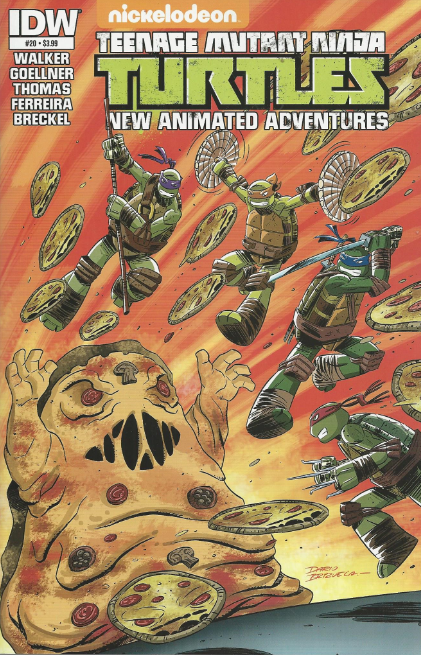 The series continues in TMNT New Animated Adventures #21. *This issue was originally published with 3 variant covers: Regular Cover by Dario Brizuela, Subscription Cover by Derek Charm, and Amazing Con Exclusive Cover by Eddie Nunez. This was a pretty great issue. Easily in the top 5 publication for this entire series.